Listened to our users. Shortly after its release just over 10 months ago the inquiries started to come in with feature requests. At the top of that list was always integrating with X, Y & Z CRM so users could better nurture their home value leads. With the release of version 2.13 of our popular Home Value WordPress plugin, we addressed those requests in a big way and did so by integrating Webhooks into our plugin. What that enables our users to do is integrate with virtually any CRM on the market via services like Zapier. They have some in-depth documentation on Webhooks that will help you understand how they work, what they can do and much much more if you’re not already familiar with Webhooks. 1. Create a free account on Zapier.com if you don’t already have one. 3. Choose Webhooks by Zapier as the trigger app. 4. Choose Catch Hook as the trigger. 5. Leave Pick off a Child Key blank, click Continue. 6. Copy the provided Webhook URL into your Home Value Settings screen in the Webhooks box and check the Test Webhooks checkbox and Save. 7. Now return to Zapier and click the OK, I did this button to confirm the Webhook test. 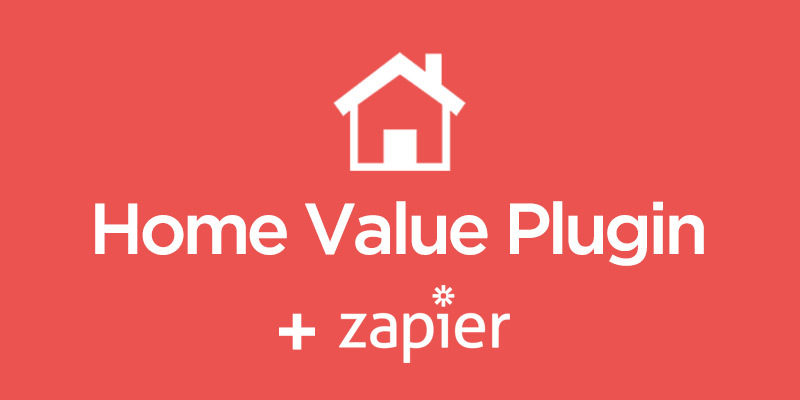 You have now successfully configured Zapier Webhooks with our Home Value Plugin and can proceed to setting up your action step which will allow you to connect to your CRM of choice and map the data in there in real-time. We hope you enjoy the recent improvements to our Home Value Plugin and for the users of our Sold Alerts Plugin, we didn’t forget you, the Webhooks were also just released in the 1.7 version so make sure to update!